I first saw the 69'er while back in Detroit for the Autorama. 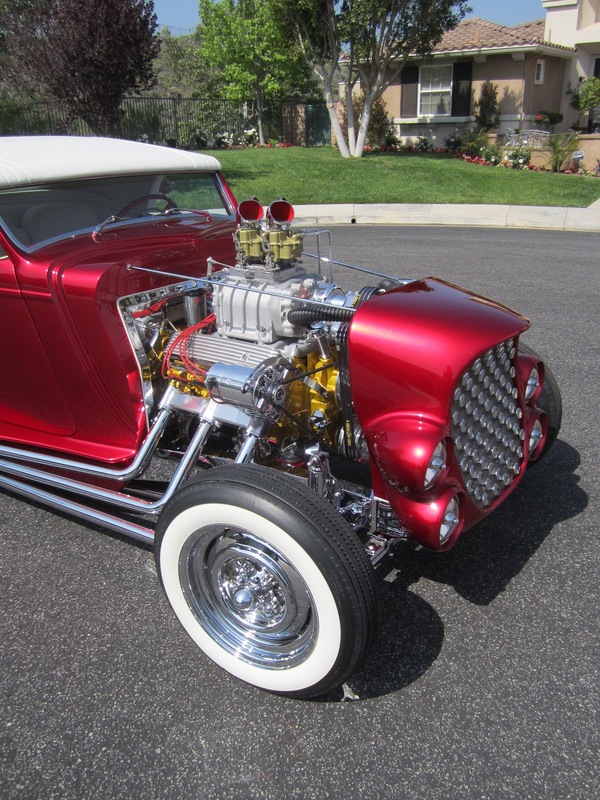 Fortunately for California Car Cover and me, one of our customers was overseeing the West Coast press tour for this vehicle and we were able to photograph it for our October catalog cover. 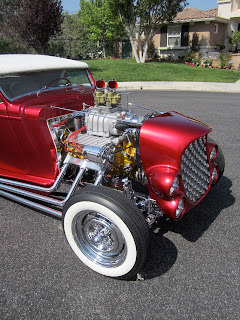 Special thanks goes out to Loren Hulber, a long time supporter of California Car Cover, and the crew at Blast from the Past Street Rods in Pennsylvania for coordinating this photo shoot with us. The car is owned by car collector Chip Hoynitski. The name of the car builder suits the 69'er as it is definitely a blast from the past. 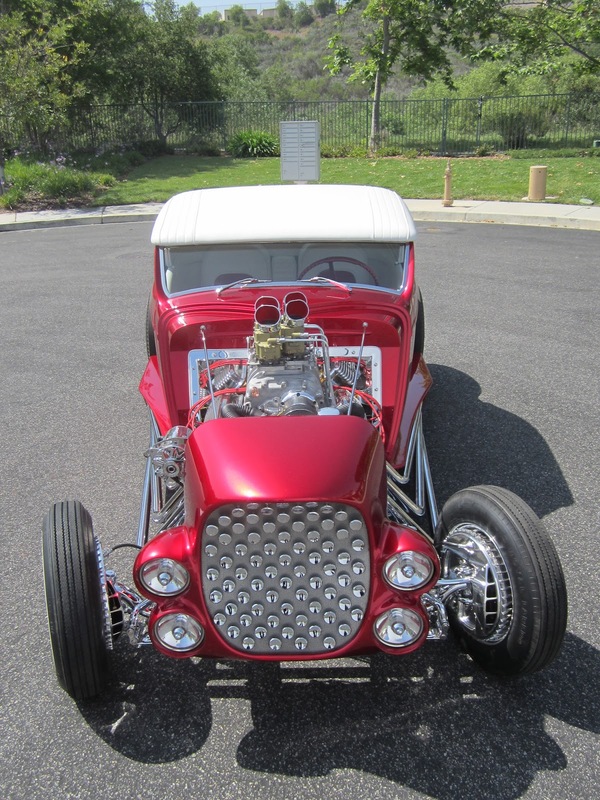 This recreation of the 69'er is an exact replica of the award winning Autorama car from the early 60s. Th original 69'er from built by the famous Alexander Brothers. 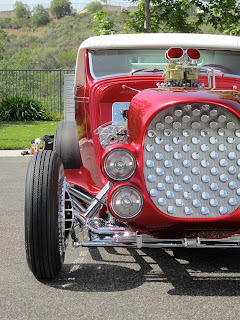 This vehicle actually uses the original grille shell from the first 69'er. 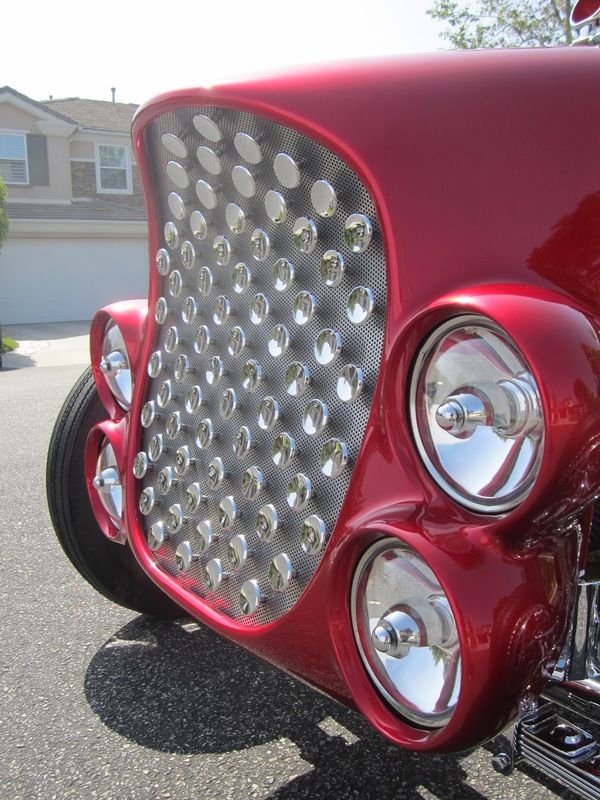 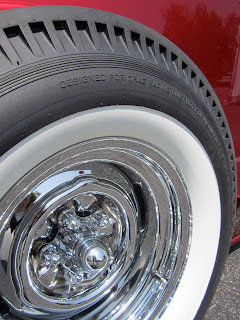 Finely detailed, this car features many chrome plated and polished surfaces. 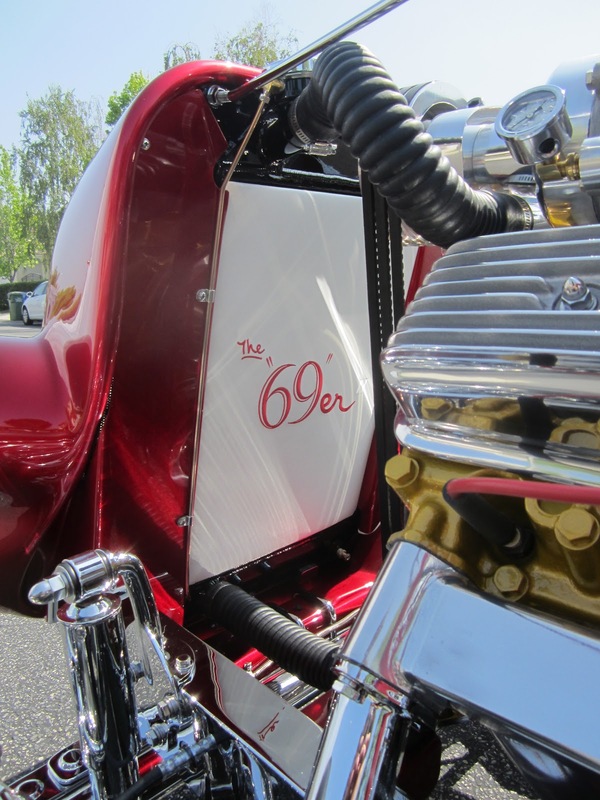 The 69'er features custom candy paint from Sherwin-Williams. 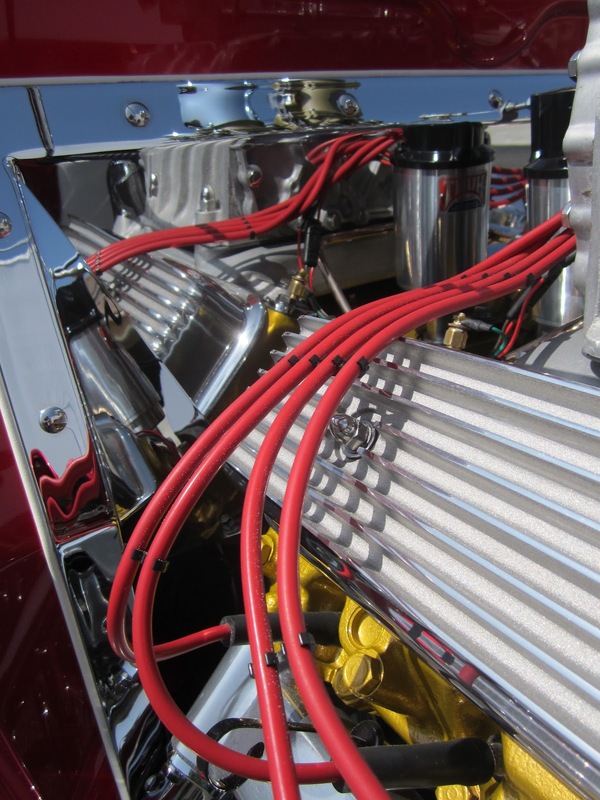 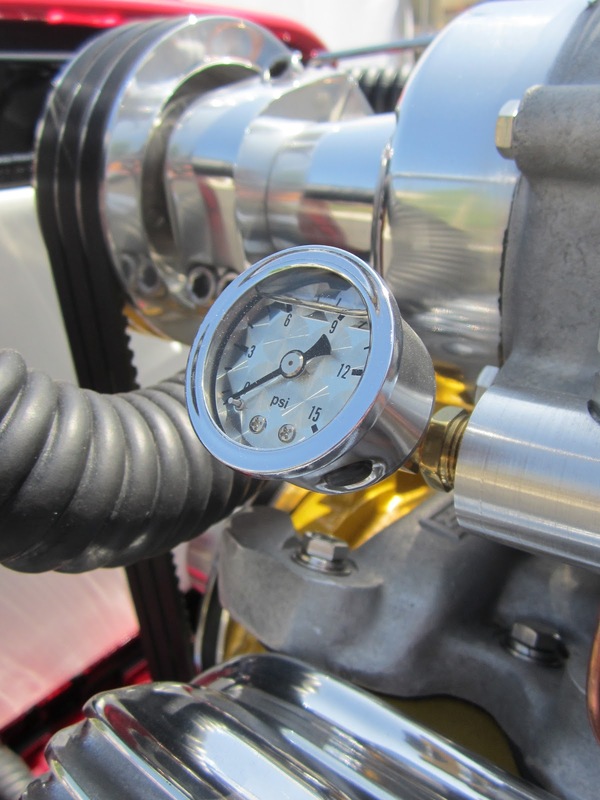 Uncommon Engineering in Indiana helped the crew at Blast from the Past to recreate the 69'er's classic engine. 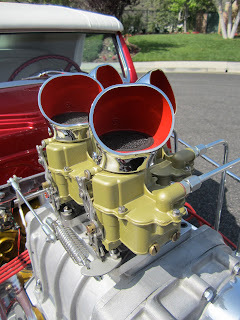 The original 69'er had a 324 Olds Rocket engine with a supercharger. 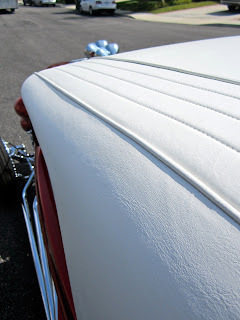 The interior work was done at Vinny's Interior in Pennsylvania. Vinny's shop was responsible for recreating the white leather upholstery and Carson top. 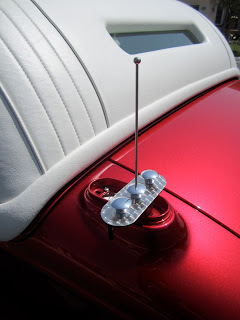 The rear antenna lifts and swivels to expose the access for the gas tank. 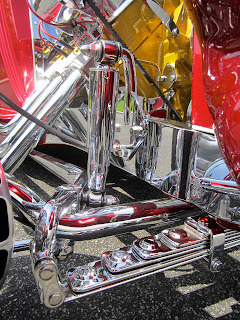 Advanced Custom Chrome in Pennsylvania plated the chassis and suspension parts. 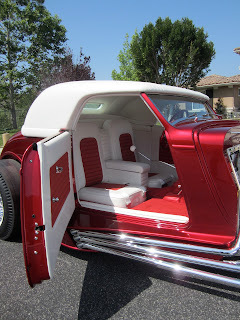 Check out the underneath. This is definitely a show car. 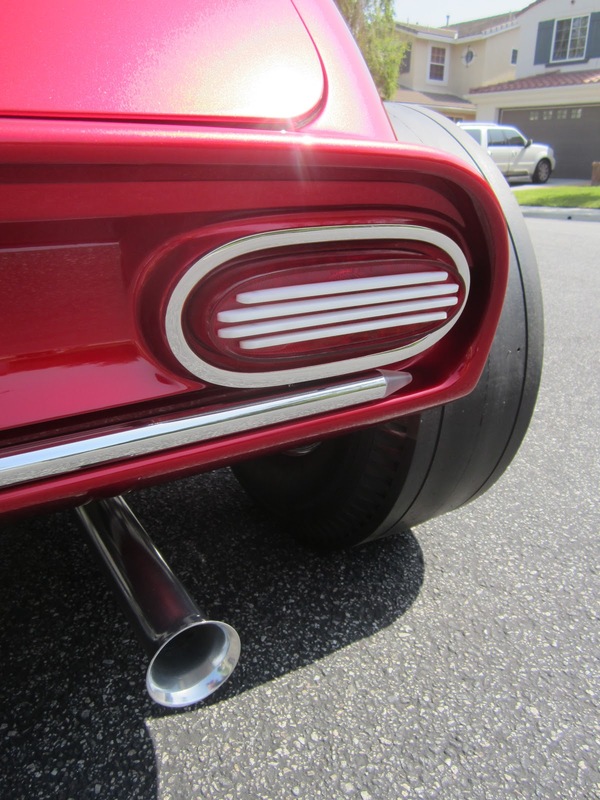 The frame and exhaust system are as clean as the top of the car. 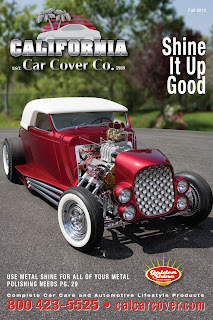 In case you did not receive a copy of the October catalog in the mail, here is an image of the California Car Cover catalog cover featuring the 69'er. 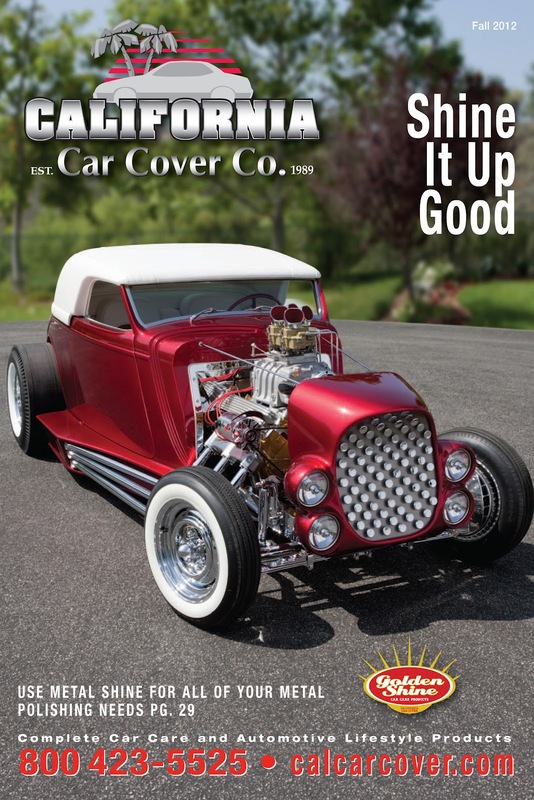 Do you want to get a California Car Cover catalog on the mail? 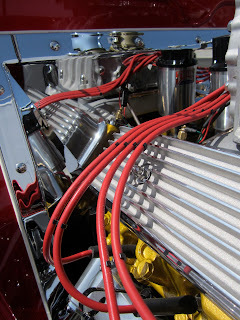 Just follow the link to our website.